Policosanol, a dietary supplement, is a mixture of alcohols isolated from Cuban sugar cane wax. It contains about 60 percent octacosanol. Other names for policosanol include Octacosanol, 1-Octacosanol, N-Octacosanol, and Octacosyl Alcohol. Policosanol has been touted as a dietary supplement that can lower cholesterol. 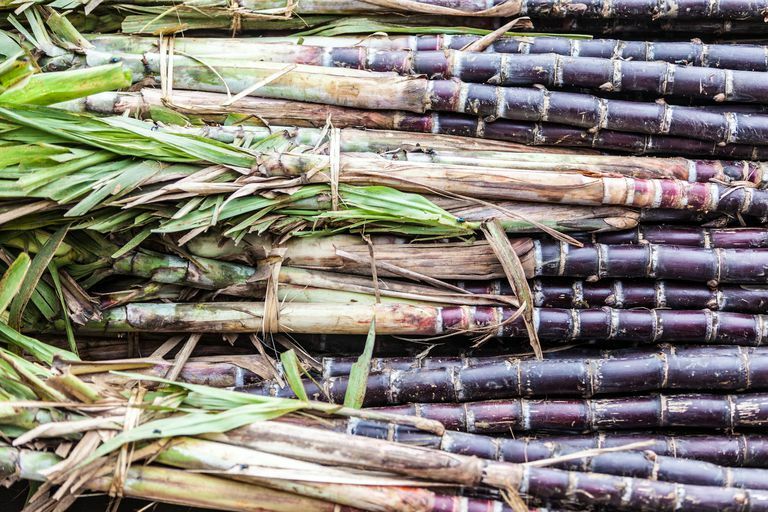 Although some studies suggest that policosanol may help to inhibit cholesterol formation in the liver, the majority of the studies on sugar cane policosanol have been conducted by a single research group in Cuba that's involved with the policosanol patent. An independent study published in the Journal of the American Medical Association in 2006 did not find any benefit of policosanol, even at high doses, on cholesterol levels. This finding casts some doubt on the reliability of the Cuban research on policosanol. More recently, an animal study published in 2016 found that rats who were fed a high-cholesterol diet and given policosanol for six weeks experienced a significant decrease in cholesterol, blood sugar, triglycerides, LDL "bad" cholesterol, and the enzymatic activity in the liver that control cholesterol synthesis compared to rats who weren't given policosanol. Researchers concluded that policosanol has the potential to be developed into an effective dietary strategy for managing the boost in blood sugar and cholesterol that follows meals. Another study, this one a review of 22 studies involving nearly 1,900 people published in 2017, reported that sugar cane policosanol could significantly reduce total cholesterol and LDL cholesterol and increase HDL "good" cholesterol; no significant effects were observed on triglyceride and body weight. However, researchers concluded that because of the differences in the study designs, the better treatment effects observed in the studies from Cuba, and the inconsistent dose-response relationship, more clinical trials are needed to confirm the efficacy of policosanol on high cholesterol. Although the reliability of the Cuban studies has been questioned, the side effects of policosanol reported in the trials have generally been mild and short-term. They've included indigestion, skin rash, headache, insomnia, and weight loss. Policosanol may increase the effect of medications that interfere with blood clotting or anti-platelet drugs, such as aspirin, warfarin (Coumadin), heparin, clopidogrel (Plavix), ticlopidine (Ticlid), or pentoxifylline (Trental), or supplements such as garlic, ginkgo, or high-dose vitamin E.
Policosanol may increase the effects and side effects of levodopa, a medication used for Parkinson's disease. Also keep in mind that the safety of supplements in pregnant women, nursing mothers, children, and those with medical conditions or who are taking medications has not been established. A typical dosage of policosanol used in studies has been five to 10 milligrams twice daily. Studies generally find that it can take up to two months to notice benefits. The most-studied form of policosanol is derived from sugar cane and many products will tout that source. Other forms of policoanol, such as those derived from beeswax or wheat germ, haven't been well researched. Be aware that supplements haven't been tested for safety and due to the fact that dietary supplements are largely unregulated, the content of some products may differ from what is specified on the product label. A ConsumerLab.com analysis of six policosanol supplements found that all of the products contained their claimed amounts, which is in line with what's used clinically. This suggests you can be assured that what's promised on the label is what's found in the supplements. However, to be certain, when buying supplements look for products that have been certified by ConsumerLabs, The U.S. Pharmacopeial Convention, or NSF International. These organizations don't guarantee a product is safe or effective, but they indicate that it's undergone testing for quality. Due to a lack of supporting evidence, it's too soon to recommend policosanol for the treatment of high cholesterol. If you're considering using it, talk with your primary care provider first. Self-treating a condition and avoiding or delaying standard care may have serious consequences. Arruzazabala ML, Molina V, Mas R, Fernandez L, Carbajal D, Valdes S, Castano G. Antiplatelet Effects of Policosanol (20 and 40 Mg/Day) in Healthy Volunteers and Dyslipidaemic Patients. Clinical and Experimental Pharmacology & Physiology. 2002. 29(10):891-7. Berthold HK, Unverdorben S, Degenhardt R et al. Effect of Policosanol on Lipid Levels Among Patients With Hypercholesterolemia or Combined Hyperlipidemia: a Randomized Controlled Trial. JAMA. 2006. 295:2262-9. Castaño G, Mas R, Fernandez L, Illnait J, Mendoza S, Gamez R, Fernandez J, Mesa M. A Comparison of the Effects of D-003 and Policosanol (5 and 10 Mg/Day) in Patients With Type II Hypercholesterolemia: a Randomized, Double-Blinded Study. Drugs Under Experimental and Clinical Research. 2005. 31 Suppl:31-44. Castaño G, Mas R, Fernandez L, Illnait J, Gamez R, Alvarez E. Effects of Policosanol 20 Versus 40 Mg/Day in the Treatment of Patients With Type II Hypercholesterolemia: a 6-Month Double-Blind Study. International Journal of Clinical Pharmacology Research. 2001. 21(1):43-57. Castaño G, Mas R, Gamez R, Fernandez J, Illnait J, Fernandez L, Mendoza S, Mesa M, Gutierrez JA, Lopez E. Concomitant Use of Policosanol and Beta-Blockers in Older Patients. International Journal of Clinical Pharmacology Research. 2004. 24(2-3):65-77. Castaño G, Mas R, Gamez R, Fernandez L, Illnait J. Effects of Policosanol and Ticlopidine in Patients With Intermittent Claudication: a Double-Blinded Pilot Comparative Study. Angiology. 2004. 55(4):361-71. Gong Jing, et al. Efficacy and safety of sugarcane policosanol on dyslipidemia: A meta‐analysis of randomized controlled trials. Molecular Nutrition and Food Research. Volume 62, Issue 1. Lee Jung-Yun, et al. Effects of long-term supplementation of policosanol on blood cholesterol/glucose levels and 3-hydroxy-3-methylglutaryl coenzyme a reductase activity in a rat model fed high cholesterol diets. Food Sci Biotechnol. 2016; 25(3): 899–904. Lin Y, Rudrum M, van der Wielen RP, Trautwein EA, McNeill G, Sierksma A, Meijer GW. Wheat Germ Policosanol Failed to Lower Plasma Cholesterol in Subjects With Normal to Mildly Elevated Cholesterol Concentrations. Metabolism. 2004. 53(10):1309-14. Can Artichoke Leaf Extract Really Lower Cholesterol? Can Turmeric Lower Your Cholesterol Levels? Can an Apple a Day Keep High Cholesterol Levels Away?